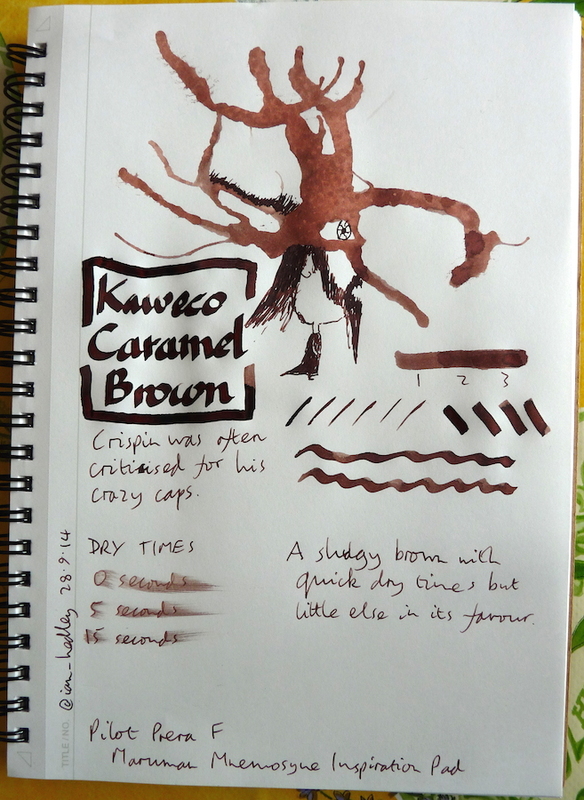 Kaweco Caramel Brown ink review – Pens! Paper! Pencils! This is the last of the eight inks Kaweco sent me to review. It’s the last because I’ve been putting off trying it. A Fool With a Pen described it as hideous and he and I often have very similar tastes, so I wasn’t looking forward to using Caramel Brown at all. I do not like this colour at all. I actually kinda love this brown. I called it “Sepia” when I wrote my review of it because the box of carts doesn’t have a name on it. I’m a big fan of brown inks, though, so that might be why I liked it so much. Mike is right! I like it too. 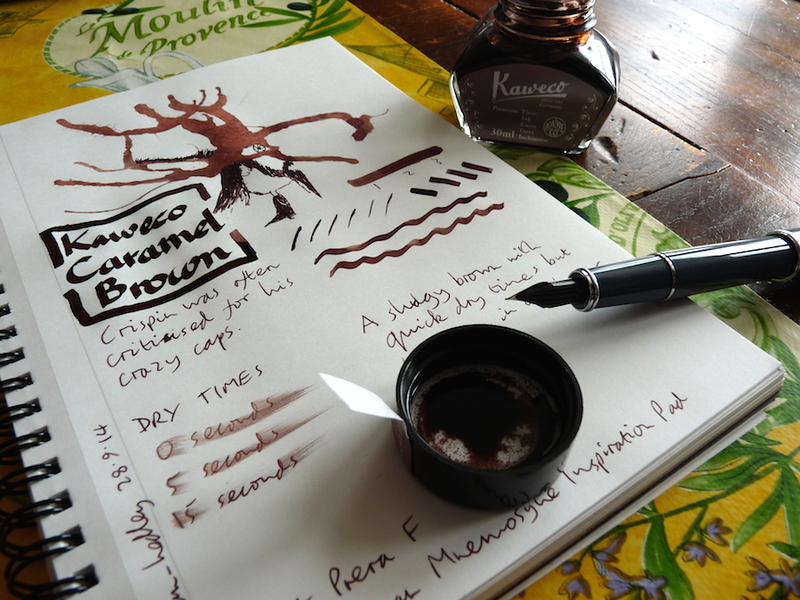 I’ve yet to find a brown ink that I didn’t at least like and had yet to try Kaweco ink, so I ordered a bottle. I’ve yet to give it a go, but hope that I like it more than you. I hope so too! Let me know. In a Kaigelu 316 with a juicy medium nib I like it a lot. I have my doubts that I’ll care for it as much in drier and finer nibs, but I look forward to getting it into a nice stub and seeing what I think.